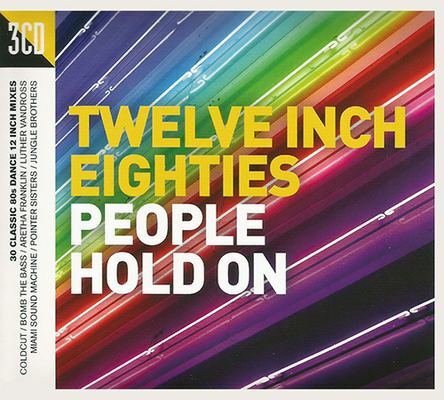 Twelve Inch Eighties is the new 3CD range by Crimson Productions, compiling extended alternate mixes of some of the biggest hit singles of the 80s. Each themed release is housed in a sleek 3CD digipak with abstract imagery representative of early dance label releases. These carefully selected titles across the range will bring together the finest eighties pop, dance and disco, amongst other genres, in all their full 12” single glory. People Hold On is a collection of some of the biggest 80s dance classics in their full extended 12” form, keeping you on the floor for longer. Contains 15x Top 10, 8x Top 20 and 3x Top 40 UK Chart singles. Many hit records exclusively licensed from Sony Music Entertainment UK Limited.